I’ll be playing a very special solo show in Charlotte, NC on Saturday, September 17th as part of SOCO Gallery & Tabor first annual Bungalow Social featuring a lecture by art advisor Maria Brito, art by Ken Van Sickle, craft beer from Sycamore Brewery, coffee from Not Just Coffee, a ton of great men’s clothing designers and perfectly curated selection of records will be on sale from the amazing people at Creampuff Records. Oh, and there’s gonna be BBQ available. 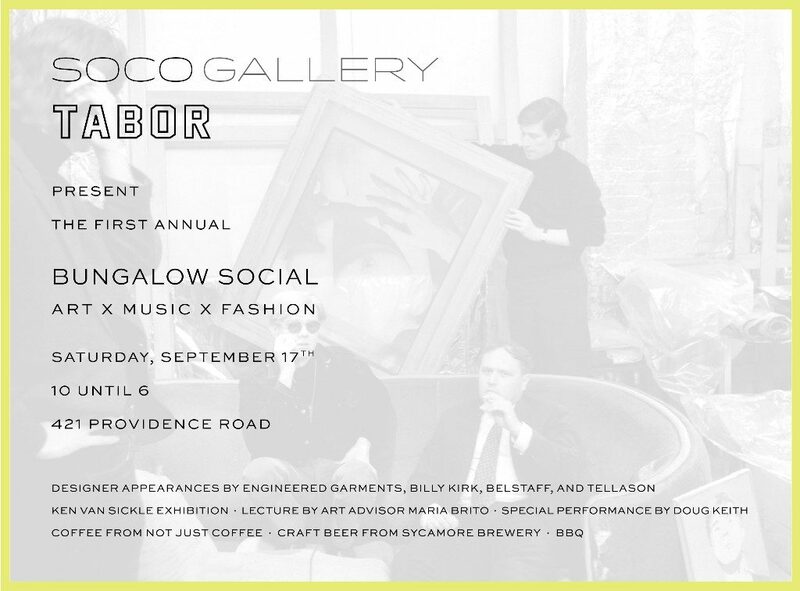 SOCO Gallery & Tabor know how to party so come on out. It’s going to be a blast!